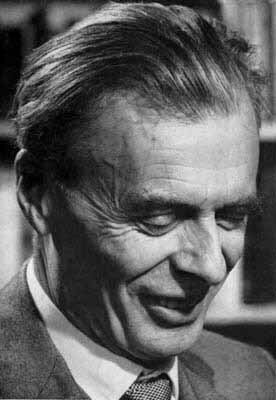 Aldous Leonard Huxley was an English writer and one of the most prominent members of the famous Huxley family. He spent the later part of his life in the United States, living in Los Angeles from 1937 until his death in 1963. Best known for his novels including Brave New World and wide-ranging output of essays, Huxley also edited the magazine Oxford Poetry, and published short stories, poetry, travel writing, and film stories and scripts. Every individual is at once the beneficiary and the victim of the linguistic tradition into which he has been born - the beneficiary inasmuch as language gives access to the accumulated records of other people's experience, the victim in so far as it confirms him in the belief that reduced awareness is the only awareness and as it bedevils his sense of reality, so that he is all too apt to take his concepts for data, his words for actual things.